KOF Wing is added in more characters, and it is more exciting with many more great fighting skills. You can fight against your friend in the VS Mode. Have fun! Flying Hero: Bugyuru no Daibouken (フライングヒーロー ぶぎゅる〜の大冒険?) is a vertical-scrolling shoot-'em-up video game, developed by Sting Entertainment and published by SOFEL, which was released exclusively in Japan in 1992. 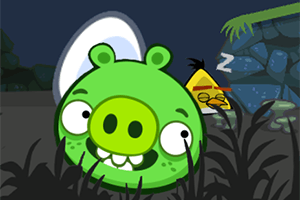 Get ready to build cool machine in Bad Piggies Online 2018. Your job is to assist the bad piggies and build cool devices that can fly in the sky and travel through different terrains. Street Fighter (ストリートファイター Sutorīto Faitā? ), commonly abbreviated as SF or スト, is a fighting game franchise by Capcom. The game's playable characters originate from different countries around the world, each with his or her own unique fighting style. It is Capcom's second best-selling franchise, having significant success worldwide. With its first game released in 1987, the game has evolved through the years as well as through its many iterations, and remains one of the most popular video games today. Kingdom Rush is a tower defense game set in a medieval fantasy setting. There are empty lots set along the pre-determined path where the player can build towers. There are four towers to choose from: Mage, Archers, Barracks, and Artillery. Double Dragon (ダブルドラゴン Daburu Doragon?) is a 1987 beat 'em up video game developed by Technōs Japan and distributed in North America and Europe by Taito. The game is a spiritual and technological successor to Technos' earlier beat 'em up, Nekketsu Kōha Kunio-kun (released outside of Japan by Taito as Renegade), but introduced several additions such as two-player cooperative gameplay and the ability to arm oneself with an enemy's weapon after disarming them. Double Dragon is considered to be one of the first successful examples of the genre, resulting in the creation of two arcade sequels and several spinoffs, as well as inspiring other companies in creating their own beat 'em ups. Cut the Rope is a series of physics-based puzzle video games developed by the Russian entertainment company ZeptoLab for several platforms and devices. Yie Ar Kung-Fu (Chinese: 一二功夫; pinyin: yī èr gōngfū; literally: "One Two Kung Fu") features the protagonist Oolong (Chinese: 烏龍; pinyin: Wūlóng, Japanese: ウーロン Ūron; see oolong), controlled by the player. Oolong must fight all the martial arts masters given by the game (11 in the arcade version; five to 13 in the home ports) unarmed to win the title of "Grand Master" and honor the memory of his father. On his side is a variety of punch and kick blows reachable by combining the joystick with one of the buttons (punch or kick). He also has the greatest jumping ability of all the game's fighters, with the exception of "Blues". Streets of Rage (ベア・ナックル 怒りの鉄拳 Bea Nakkuru: Ikari no Tekken?, "Bare Knuckle: Furious Iron Fist") is a side-scrolling beat 'em up released by Sega in 1991 for the Sega Genesis. It is the first installment of the Bare Knuckle/Streets of Rage series which was followed by Streets of Rage 2 and Streets of Rage 3. The game was also converted over to Sega's Game Gear, Sega CD and Master System. In 2007, the game was released for the Wii's Virtual Console in North America and Europe, and in 2009 it was released for the iOS via the App Store. The game was again made available as part of Sonic's Ultimate Genesis Collection in 2009 on both the PlayStation 3 and Xbox 360 consoles. Support multiple country and region. Mega Man, known as Rockman (ロックマン Rokkuman?) in Japan, is an action-platform video game developed and published by Capcom for the Nintendo Entertainment System (NES). The first game of the Mega Man franchise and original video game series, it was released on December 17, 1987 in Japan, and localized for North America in December 1987 and Europe in May 1990, respectively. Mega Man was produced by a small team specifically for the home console market, a first for Capcom, who previously focused on arcade titles. Rainbow Islands (レインボーアイランド?) is a 1987 arcade game developed and published by Taito. The arcade version was licensed to Romstar for North American manufacturing and distribution. The game is subtitled "The Story of Bubble Bobble 2" and is the sequel to Taito's hit game Bubble Bobble from the previous year. It is the second of four arcade games in the Bubble Bobble series (followed by Bubble Symphony and Bubble Memories, but itself has two direct sequels: Parasol Stars and Bubble Bobble Part 2). 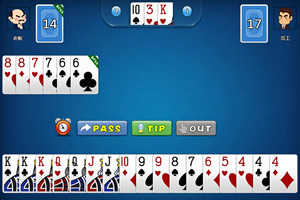 The game was ported for numerous home computers and game consoles. The new game in "Laser Cannon" series. New locations, new monsters, new gear. Kill'em all! Hudson's Adventure Island (高橋名人の冒険島 Takahashi Meijin no Bōken Jima?, "Master Takahashi's Adventure Island"), also known simply as Adventure Island, is a side-scrolling platform game produced by Hudson Soft that was first released in Japan for the Famicom and MSX on September 12, 1986. It was later released in North America for the Nintendo Entertainment System on September 1988 and in the PAL region in 1992 under the title of Adventure Island Classic. Circus Charlie (サーカスチャーリー Sākasu Chārī?) is an action/platform game originally released by Konami in which the player controls a clown named Charlie. The game was a hit arcade game in 1984, which also had a successful release on the MSX in 1984, the Nintendo Famicom in 1986 by Soft Pro and on the Commodore 64 in 1987. It was released along with other Konami classic games on the Nintendo DS compilation Konami Classics Series: Arcade Hits. The goal of Machinarium is to solve a series of puzzles and brain teasers. The puzzles are linked together by an overworld consisting of a traditional "point and click" adventure story. The overworld's most radical departure is that only objects within the player character's reach can be clicked on. Urban Champion (アーバンチャンピオン?) is a 2-player fighting game produced by Nintendo in 1984. It was inspired by the 1984 Game & Watch title, Boxing (also known as Punch-Out!!). It is also Nintendo's first 2D fighting game, followed by the 1993 Joy Mech Fight, released exclusively in Japan for the same platform. Tetris (Russian: Те́трис, pronounced [ˈtɛtrʲɪs]) is a Russian tile-matching puzzle video game, originally designed and programmed by Alexey Pajitnov. It was released on June 6, 1984, while he was working for the Dorodnicyn Computing Centre of the Academy of Science of the USSR in Moscow. 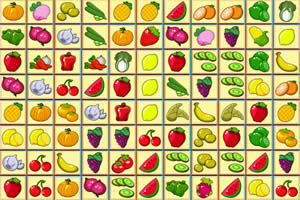 He derived its name from the Greek numerical prefix tetra- (all of the game's pieces contain four segments) and tennis, Pajitnov's favorite sport. Ice Climber (アイスクライマー Aisu Kuraimā?) is a vertical platform video game developed and published by Nintendo for the Nintendo Family Computer in Japan and the Nintendo Entertainment System in North America in 1985. In Ice Climber, the characters Popo (ポポ) and Nana (ナナ), collectively known as the Ice Climbers, venture up 32 ice-covered mountains to recover stolen vegetables from a giant condor. In some European countries, the NES console was sold bundled with the game, increasing Ice Climber's familiarity outside Japan. Puzzle Bobble (Japanese: パズルボブル Hepburn: Pazuru Boburu? ), also known as Bust-a-Move in North America, is a 1994 tile-matching arcade puzzle video game for one or two players created by Taito Corporation. It is based on Taito's popular 1986 arcade game Bubble Bobble, featuring characters and themes from that game. Its characteristically cute Japanese animation and music, along with its play mechanics and level designs, made it successful as an arcade title and spawned several sequels and ports to home gaming systems. Art of Fighting (龍虎の拳 Ryūko no Ken?, lit. "Fist of Dragon and Tiger") is a video game trilogy in the genre of competitive fighting game titles that were released for the Neo Geo platform in the early 1990s. It was the second fighting game franchise created by SNK, following the Fatal Fury series and is set in the same fictional universe as a prequel to the Fatal Fury series. The original Art of Fighting was released in 1992, followed by two sequels: Art of Fighting 2 (龍虎の拳2 Ryūko no Ken 2?) in 1994 and Art of Fighting 3: The Path of the Warrior (ART OF FIGHTING 龍虎の拳 外伝 Art of Fighting: Ryūko no Ken Gaiden?) in 1996. Arkanoid (アルカノイド Arukanoido?) is an arcade game developed by Taito in 1986. It expanded upon Atari's Breakout games of the 1970s by adding power-ups, different types of bricks, and a variety of level layouts. The title refers to a doomed "mothership" from which the player's ship, the Vaus, escapes. Samurai Shodown (Samurai Spirits in Japan) is the name of a fighting game series by SNK. Despite the name of the series, most of the characters are not samurai in the true sense of the word. In Japan, the name of the series is officially in katakana, but is often written in kanji (侍魂, samurai tamashii), with the second character pronounced supirittsu, “spirits”, to better reflect the game’s setting. Gun.Smoke is a 1985 vertical scrolling shooter arcade game by Capcom. This Wild West-themed game was designed by Yoshiki Okamoto. Gun.Smoke centers on a character named Billy Bob in the NES version, a bounty hunter who is after vicious criminals of the Wild West. Despite its name and theme, it has no connection to the Western TV series Gunsmoke. Bomberman (ボンバーマン Bonbāman?) (also known as Dynablaster or Dyna Blaster in Europe) is a strategic, maze-based video game franchise originally developed by Hudson Soft. The original game was published in 1983 and new games have been published at irregular intervals ever since. Several titles in the 2000s were published by fellow Japanese game company Konami, who gained full control of the franchise when they purchased and absorbed Hudson in 2012. Today, Bomberman has featured in over 70 different games on numerous platforms (including all Nintendo platforms save for the 3DS and Wii U), as well as several anime and manga. His franchise is one of the most commercially successful of all time. Battle City (バトルシティー Batoru Shitī?) is a multi-directional shooter video game for the Family Computer produced and published in 1985 by Namco. It is a successor to Namco's 1980 Tank Battalion, and would be succeeded itself by the 1991 Tank Force. An arcade version for the Nintendo VS. System would follow, and the game would eventually end up with the Virtual Console release for the Wii and Wii U. There was also a related Game Boy game of the same name. Power Instinct (豪血寺一族 Gōketsuji Ichizoku?, "The Gōketsuji Clan") is a fighting video game series created by Atlus started in 1993. The Power Instinct or Gouketsuji Ichizoku series (often abbreviated as PI or GI for short) is renowned for its more humorous take on fighting games. One of the innovations unique to the series was the introduction of the transformation feature. Several of the characters can change their appearance and fighting style by simply executing certain moves (usually a throwing move), though this has not been featured in every entry in the series. Other features include the ability to perform a double jump and attacking while dashing. The situation becomes even more intense in the future world. Battles and violations are breaking out hither and thither. One of the typical characteristics of the modern world war is that the weapons that they use are more powerful and fierce. Now a war is starting between Z country and R country, and you are playing the role of a warrior from the Z country. Command your robot to defeat the R army and take control of their territory! Castlevania (キャッスルヴァニア? ), also known as Akumajō Dracula (悪魔城ドラキュラ Akumajō Dorakyura?, lit. Devil's Castle Dracula), is a video game series created and developed by Konami, centered on the Belmonts, a clan of vampire hunters, and their fight with Dracula. The series debuted in Japan on September 26, 1986, with the release for the Family Computer Disk System (FDS), followed by an alternate version for the MSX 2 platform on October 30. Although the MSX 2 port (localized in Europe and Brazil as Vampire Killer) was released first outside of Japan, the series did not receive wide attention outside of Japan until the FDS version was ported to cartridge format for the Nintendo Entertainment System and localized for North American and European releases of Castlevania in 1987 and 1988, respectively. The series soon became one of Konami's flagship series. Silkworm is a classic side scrolling shooter, developed by Tecmo and first released for arcade in 1988. In 1989 it was ported to the Amiga, Atari ST, Commodore 64, ZX Spectrum, Amstrad CPC and NES (1990) systems by The Sales Curve and released by Virgin Mastertronic. Silkworm also spawned what many consider to be a spiritual successor to the game - SWIV. While SWIV was not a direct sequel, it followed the same core gameplay design of a helicopter/jeep team, albeit as a vertically scrolling shooter instead of a horizontally scrolling one. SWIV was described in the game's manual to mean both "Special Weapons Intercept Vehicles" and "Silkworm IV". Pac-Man (Japanese: パックマン Hepburn: Pakkuman?) is an arcade game developed by Namco and first released in Japan on May 22, 1980. It was created by Japanese video game designer Toru Iwatani. It was licensed for distribution in the United States by Midway and released in October 1980. Immensely popular from its original release to the present day, Pac-Man is considered one of the classics of the medium, virtually synonymous with video games, and an icon of 1980s popular culture. Upon its release, the game—and, subsequently, Pac-Man derivatives—became a social phenomenon that sold a large amount of merchandise and also inspired, among other things, an animated television series and a top-ten hit single. Carrot Fantasy Extreme is a fantasy-themed tower defense game! Protect your carrot from various monsters by placing different creatures along the path to help slow down and attack enemies. Every creature has a different ability, so place them wisely. You can also upgrade them to help make things even easier! Don’t forget to destroy your surroundings so you can make more room for defenses! Kinnikuman (Japanese: キン肉マン?, lit. "Muscle Man") is a manga series created by the duo Yoshinori Nakai and Takashi Shimada, known as Yudetamago. It follows Suguru Kinniku, a superhero who must win a wrestling tournament to retain the title of prince of Planet Kinniku. Nakai and Takashi planned the series when they were attending high school originally as a parody to Ultraman. The manga was originally published in Shueisha's Weekly Shōnen Jump from 1979 to 1987, and was first adapted by Toei Animation into a 137-episode anime series broadcast on Nippon Television from 1983 to 1986. It restarted publication in 2011, and has spawned spin-off manga and anime series, video games, anime films, and several Kinnikuman-related merchandise. Welcome to the planet «Zombotron», inhabited by human-mutants or just stupid zombies. Nobody knows where they come from and what they eat. But we know one thing – they are ready to destroy everything that moves. During the colonization of the planet people built several laboratories to create bio-robots to clean the planet from evil, but something was wrong. There was no people on the planet Zombotron, but those laboratories still operate under the computer’s control. You are one of the few bio-robots and so will you be able to complete this mission? P.O.W. : Prisoners of War, released in Japan as Datsugoku: Prisoners of War (脱獄 -Prisoners of War- Datsugoku -Prisoners of U~ō-? ), is a side-scrolling beat 'em up produced by SNK originally released as an arcade game in 1988. A home version was released for the Nintendo Entertainment System on June 30, 1989 in Japan and on September 1989 in North America. The player controls a military prisoner who breaks free from his cell and must fight his way into the enemy's main base in order to eliminate their leader and escape. Lode Runner is a puzzle video game, first published by Brøderbund in 1983. It is one of the first games to include a level editor, a feature that allows players to create their own levels for the game. This feature bolstered the game's popularity, as magazines such as Computer Gaming World held contests to see who could build the best level. Tozai, Inc. currently holds the intellectual property[clarification needed] and trademark rights of Lode Runner. World Heroes (ワールドヒーローズ) is a fighting game series that was created by ADK for the Neo-Geo, though some of the games in the series were also ported to the Sega Saturn, Super Nintendo, Sega Megadrive and Game Boy. The general premise was that a scientist, Dr. Brown, having perfected a time machine, organized a tournament for various fighters throughout all of history to combat each other. True to this plot, many of the fighters are based on actual historical figures. Guerrilla War, released in Japan as Guevara (ゲバラ? ), is an overhead run and gun game produced by SNK. Originally released for arcades in 1987 as a coin-operated arcade game, Guerrilla War followed the adventures of two unnamed rebel commandos (Che Guevara and Fidel Castro in the Japanese version) as they raid an unnamed Caribbean Island in order to free it from the rule of an unnamed tyrannical dictator. Along the way the players vanquish hordes of enemy soldiers while attempting to rescue hostages (with large score deductions for any hostages killed in the crossfire), collecting weapons from troopers and operating tanks. The gameplay of Snow Bros. is similar to Bubble Bobble, released in 1986. The game supports up to two players, with each player taking the part of one of two snowmen Nick and Tom. Each player can throw snow at the enemies. The player must throw snow at each enemy until it is completely covered, when it turns into a snowball. An enemy partially covered in snow cannot move until it shakes it off. The hordes of good heroes come again. And they are hungry for gems more than ever because The King himself wants the stones for his private needs. Gather the evil forces, build towers, upgrade, drink soda, cast the mighty spells, do whatever you can but don’t let them touch your gems! Super Mario Bros. (Japanese: スーパーマリオブラザーズ Hepburn: Sūpā Mario Burazāzu?) is a 1985 platform video game internally developed by Nintendo R&D4 and published by Nintendo as a pseudo-sequel to the 1983 game Mario Bros. It was originally released in Japan for the Family Computer on September 13, 1985, and later that year for the Nintendo Entertainment System in North America and Europe on May 15, 1987, and Australia later in 1987. It is the first of the Super Mario series of games. In Super Mario Bros., the player controls Mario and in a two-player game, a second player controls Mario's brother Luigi as he travels through the Mushroom Kingdom in order to rescue Princess Toadstool from the antagonist Bowser. The first game of the Fatal Fury series allowed players to select one of three characters, Terry Bogard, Andy Bogard, and Joe Higashi, as they fight against a gauntlet of computer-controlled opponents ending with Billy Kane and Geese Howard. When two players joins in, they have the option of either playing cooperatively against the CPU or competitively against each other. It was ported to SNES and Sega Genesis by Takara. The Neo-Geo version was released onto the Wii's Virtual Console. It was also released as part of SNK Arcade Classics Volume 1 for PS2, PSP and Wii. Mappy (マッピー Mappī?) is a 1983 arcade game by Namco. In the United States, it was distributed by Bally/Midway. Mappy is a side-scrolling platform game that features cartoon-like animals, primarily cats and mice. The game's main character itself is a mouse. Mappy runs on Namco Super Pac-Man hardware, modified to support horizontal scrolling. The name "Mappy" is likely derived from mappo, a Japanese slang term (slightly insulting) for a policeman. Dragon Ball Z: Buyū Retsuden (ドラゴンボールＺ 武勇烈伝 Doragon Bōru Zetto Buyū Retsuden?, Dragon Ball Z: Intense Martial Transmission), released as Dragon Ball Z: L'Appel du Destin (Dragon Ball Z: The Call of Destiny?) in France and Spain and as Dragon Ball Z in Portugal, is a fighting game released for the Sega Genesis/Mega Drive based on the Dragon Ball franchise. Due to the great popularity of the Dragon Ball Z anime in these European countries, it was released in Europe on January 1, 1994 and Japan on April 1, 1994. The French/Spanish version was renamed Dragon Ball Z: L'Appel du Destin and has the game translated to French language and the instruction booklet in French and Spanish languages. The game was also distributed in Portugal in 1996 where it is simply called Dragon Ball Z. The distributor, Ecofilmes, would take Japanese copies of the game, replace the cover and the manual (but keep the cart), and sell the game as is, promising a free converter cart as the Japanese cartridges cannot fit into European Mega Drives. When the French version came out, they switched to using that version instead. Contra (魂斗羅 Kontora?) is a video game series produced by Konami composed primarily of run and gun-style shoot-'em-ups. The series debuted in 1987 as a coin-operated arcade game simply titled Contra, which was followed by the release of Super Contra in 1988 and several sequels produced for various home platforms. The in-universe use of the term "Contra" is first explained within the Japanese instruction card of the arcade version of Contra, and reiterated in most games (including Contra: Shattered Soldier), as "a title awarded to a superior soldier possessing almost super human drive and ability, while excelling in guerrilla tactics". In Japanese, the title is spelled with the kanji characters 魂斗羅 or Kontora. This is a form of ateji, in which the characters are used for their phonetic pronunciations rather than any inherent meaning they may have. The arcade version of Contra was released on February 1987, a few months after the Iran–Contra affair was made public. While it is unclear whether the game was deliberately named after the Nicaraguan Contra rebels, the ending theme of the original game was titled "Sandinista" (サンディニスタ Sandinisuta? ), after the adversaries of the real-life Contras. The immediate sequel revamped the controls from the original game, adding punch and kick buttons of different strength levels and allowing the player to switch between fighting lanes at will. Terry, Andy and Joe return, along with five new playable characters (including Kim Kaphwan and Mai Shiranui). This time, the player faces off against the other main characters (as well as a clone of their own) before fighting against four computer-only opponents, culminating with new antagonist Wolfgang Krauser. The game was ported once again to the SNES and Genesis by Takara. A PC Engine Super CD-ROM² was also released by Hudson Soft in Japan, which utilized the Arcade Card. Yu Yu Hakusho (Japanese: 幽☆遊☆白書 Hepburn: Yū Yū Hakusho?, lit. "Ghost Files" or "Poltergeist Report"), also known as Yu Yu Hakusho: Ghost Files, is a Japanese manga series written and illustrated by Yoshihiro Togashi. The series tells the story of Yusuke Urameshi, a teenage delinquent who is struck and killed by a car while attempting to save a child's life. After a number of tests presented to him by Koenma, the son of the ruler of the afterlife Underworld, Yusuke is revived and appointed the title of "Underworld Detective", with which he must investigate various cases involving demons and apparitions in the human world. The manga becomes more focused on martial arts battles and tournaments as it progresses. Togashi began creating Yu Yu Hakusho around November 1990, basing the series on his interests in the occult and horror films and an influence of Buddhist mythology.